Shop online for 69 ace plastic models at discounts up to 46%. 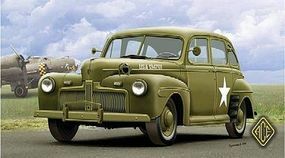 This is the 1/72 Scale US Mod 1942 Staff Car Plastic Model Kit From Ace Plastic Models. 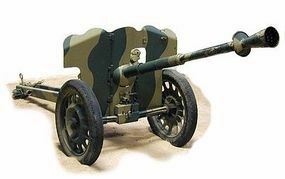 This is the French SAI Mle Mod 1937 25mm Anti-Tank Gun by Ace Plastic Models. 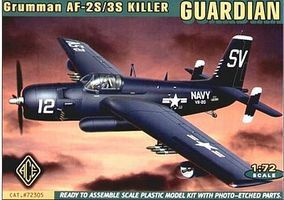 This is the 1/72 Scale AF2S/3S Grumman Guardian (Killer) Bomber w/Photo-Etched (Re-Issue) Plastic Model Kit From Ace Plastic Models. 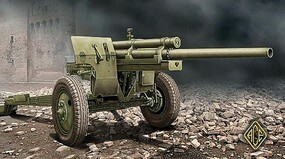 This is the 1/48 Scale 2cm Flak 38 Gun Plastic Model Kit From Ace Plastic Models. This is the 1/72 Scale US M5 3 inch Anti-Tank Gun w/M1 Carriage by Ace Plastic Models. 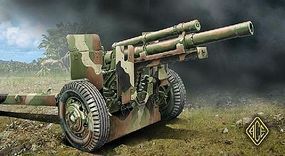 This is the 1/72 Scale M2A1 105mm US Field Howitzer Gun Plastic Model Kit From Ace Plastic Models. 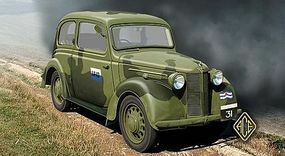 This is the 1/48 Scale Soviet GAZ M1 Emka Staff Car Plastic Model Kit From Ace Plastic Models. This is the 1/72 Scale British 8HP Forlite Staff Car by Ace Plastic Models. This is the 1/72 Scale Soviet BMP1 Infantry Fighting Vehicle (Re-Issue) Plastic Model Kit From Ace Plastic Models. This is the 1/72 Scale 508CM Colonial Italian Light Car by Ace Plastic Models. This is the 1/72 Scale BTR70 Early Production Soviet Armored Personnel Carrier by Ace Plastic Models. This is the 1/72 Scale French 47mm SA Mod 1937 Anti-Tank Gun (New Tool) by Ace Plastic Models. This is the 1/48 Scale Soviet GAZ M415 WWII Pickup Truck by Ace Plastic Models. This is the 1/72 Scale ML20 152mm Soviet Howitzer Gun Plastic Model Kit From Ace Plastic Models. 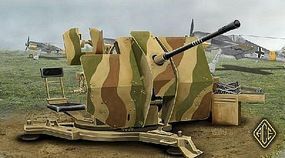 This is the 1/72 Scale German K81/2 12.8cm Kanone Heavy Gun Plastic Model Kit From Ace Plastic Models. This is the 1/72 Scale AHN 3,5t French Medical Van by Ace Plastic Models. This is the 1/72 Scale British 8HP Tourer Staff Car Plastic Model Kit From Ace Plastic Models. 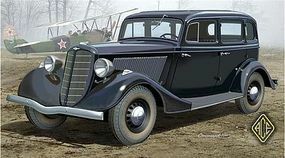 This is the 1/72 Scale AS37 Trattore Autocarro Sahariana Transporter 1937 N. African Desert Plastic Model Kit From Ace Plastic Models.